While there are many diet supplements on the market today, not all of them are created equal or provide the same type of support. Some are fat burners, some are appetite suppressants and some are metabolic boosters. But the one thing they do have in common is that they all promise to help you lose weight—fast. BeeFit ZXT Infinity, unlike some more popular supplements, uses a unique combination of ingredients. But does it still provide the same weight loss benefits? Infinity Bee Pollen is by American company Floyd Nutrition based in Pennsylvania it is sold mainly in the United States under the name Bee Fit. What is BeeFit ZXT Infinity? BeeFit ZXT Infinity contains bee pollen, wolfberry, Chinese yam and lotus seed as well as dietary fiber. These natural herbs are said to provide many benefits. 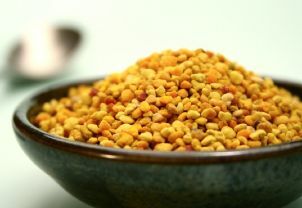 Bee pollen is used for a variety of health benefits, but in the case of this product, it will promote weight loss while enhancing your energy. It may even enhance your workouts if you regularly exercise. Wolfberry (also known as goji berry) has been shown in some studies to lower blood sugar levels and protect your cells from damage due to its antioxidant properties. The roots of the Chinese yam have what is called diosgenin in them. 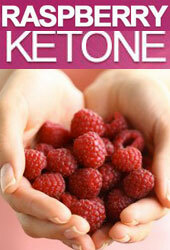 It is often used to produce the two steroids, oestrogen and progesterone. But it also contains glutamine and amino acids. Finally, lotus seed is a Chinese herb that is used to keep your vital organs healthy like your spleen, kidneys and heart. It can also provide a calming effect as well. The inclusion of dietary fibre is a way to keep you full which will prevent you from overeating and keeping your appetite in check. Basically, it is a natural way to suppress your appetite and leave you feeling full. According to the product’s directions, you need to take one capsule per day in the morning either with or without any food. However, you must take it with lots of water. 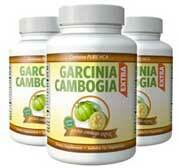 There is also a detoxification effect that will occur within the first four hours that you take the capsule. One box of BeeFit ZXT Infinity has thirty capsules and costs forty-five dollars. However, if you purchase a five-box supply or larger, the cost per box is less. You can also purchase a five-day sample pack with five capsules for twelve dollars. 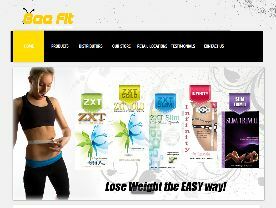 BeeFit ZXT Infinity is definitely an all-natural product that uses a specific blend of herbal supplements. The fibre will definitely suppress your appetite and your cravings and you should feel a bit more energetic with the herbs it contains. There are also customer testimonials on their website along with before-and-after pictures by people who say they have used the product with great success. 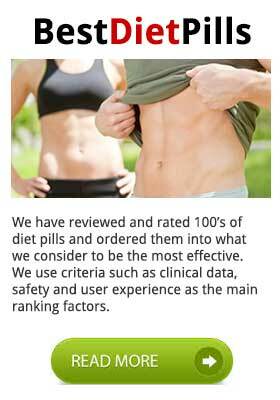 The site also provides warnings for people who probably should not take BeeFit ZXT Infinity as well as a few possible side effects on their “Frequently Asked Questions” page. While the product does use natural ingredients and offers some useful information regarding side effects and warnings, it is far from being one of the better diet supplements you can use. For starters, the manufacturer’s biggest claim is that you do not need to change your diet or even exercise. Simply take the pills and watch the weight come off your body. By no means is this a safe way to encourage people to lose weight. Most people have weight issues due to a poor diet and lack of exercise. By telling them that taking one of these capsules per day without making any lifestyle changes is the way to lose weight is irresponsible. What happens once they reach their goal weight? They have not learned anything about healthy living and are destined to regain the weight they lost. Another negative about the product is that while the ingredients are all beneficial when taken individually, there is no scientific proof or clinical studies showing that combining all of these herbs into one offers the same great benefits. In fact, the manufacturer’s proprietary blend of these supplements seems more like a hodgepodge of herbs that have good reputations without any concrete evidence that they are useful for weight loss when they are together. And considering they added dietary fibre makes you wonder if all the other stuff is even necessary. A regular dose of fibre will make you feel full, satisfied and suppress your appetite all on its own. Should You Try BeeFit ZXT Infinity? Diet supplements run the gamut so do not fall for one that sounds too good to be true like this one that promises you can lose up to twenty-five pounds in one month. That is not a healthy rate to lose weight and none of it relies on eating better or any sort of exercise. There is also no money-back guarantee that many other supplements offer and at forty-five dollars for a one-month supply, that could be an expensive (and uncomfortable) way to find out the product does not work the way it suggests. Do yourself a favour and invest in a diet supplement that also requires lifestyle modifications because once you run out of BeeFit ZXT Infinity, there is no guarantee that the weight will not return which is what will likely occur. Although Beefit contain all natural ingredients it is not in the same league as both garcinia cambogia and raspberry ketone.